The Army West Point women’s basketball team fell to TCU, 63-38, on Sunday afternoon in the 2018 Maggie Dixon Classic. 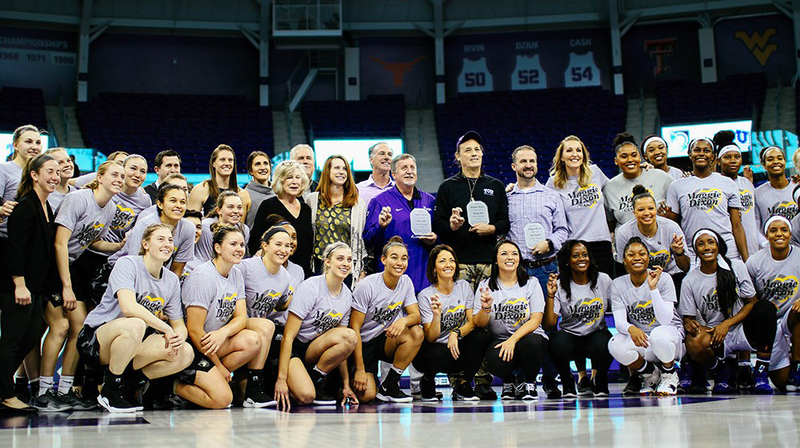 FORT WORTH, TX – The Army West Point women’s basketball team fell to TCU, 63-38, on Sunday afternoon in the 2018 Maggie Dixon Classic. The Black Knights got another double-double from Madison Hovren with 11 points and 13 rebounds in the loss. Jess Lewis led Army with 12 points as all of them came from distance. She also led Army with four assists. The Horned Frogs saw Jordan Moore score 22 points on 10-of-13 shooting and she grabbed eight rebounds as well. Kianna Ray posted nine points and nine assists in the win. TCU jumped out to an early 13-4 advantage with a 9-0 run. The Black Knights bounced back with their own run of eight points and the Black Knights got the score down to one at 13-12. Highlighting the run was Jess Lewis and Libby Tacka hitting back-to-back 3-pointers. Army stuck with the Horned Frogs through the rest of the quarter and only had a deficit of one point heading into the second at 17-16. TCU controlled most of the second quarter and outscored Army, 17-4, to take a 34-20 lead into the break. Moore had six points in the quarter and Lauren Heard hit a pair of shots from distance with six points in the period as well. Lewis hit another three to start the second half and Hovren traded buckets with TCU and Army cut the lead down to 36-25. The Horned Frogs answered with an 11-4 run to end the quarter and led 47-29 at the end of three. Hovren had five points in the frame lead Army. The Horned Frogs opened the final quarter with a 12-0 run to increase the lead to 59-29 with 6:10 left. Lewis ended the run with her fourth 3-pointer, but TCU finished out the game for the 63-38 win. The Black Knights welcome Fairleigh Dickinson on Wednesday evening at 7 p.m. at Christl Arena.